In Canada, October is a month for celebration. We have our Thanksgiving in mid-October, and, on the 31st, Halloween. 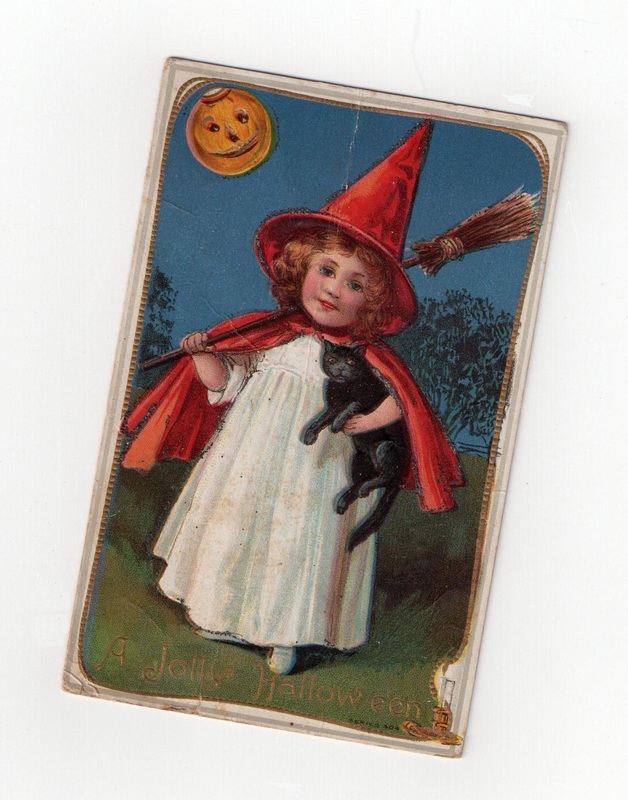 I have a few Halloween-themed post cards. I display these over our fireplace, on a string, attached by clothespins. They make a festive banner to complement the orange pumpkins and other decorations. but some witches are not so terrifying…. These are wonderful, Jane! I have some old Christmas postcards that are similar (except for the spookiness). 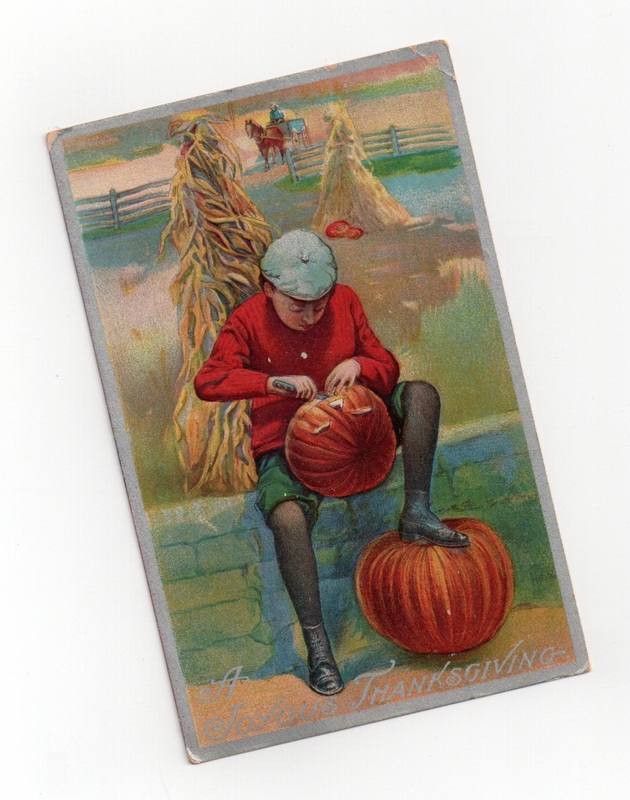 You’re clever to have kept those old halloween cards. OH MY GOSH.!!!!!! That was fantastic Stan.! Between you and Jane,,,,the talent is “unbelievable” and totally enjoyed by us. Beautiful memories indeed.! Keep up the good work knowing you are putting a “smile” on many faces. Have a great Halloween,,,Be Safe. patsi. 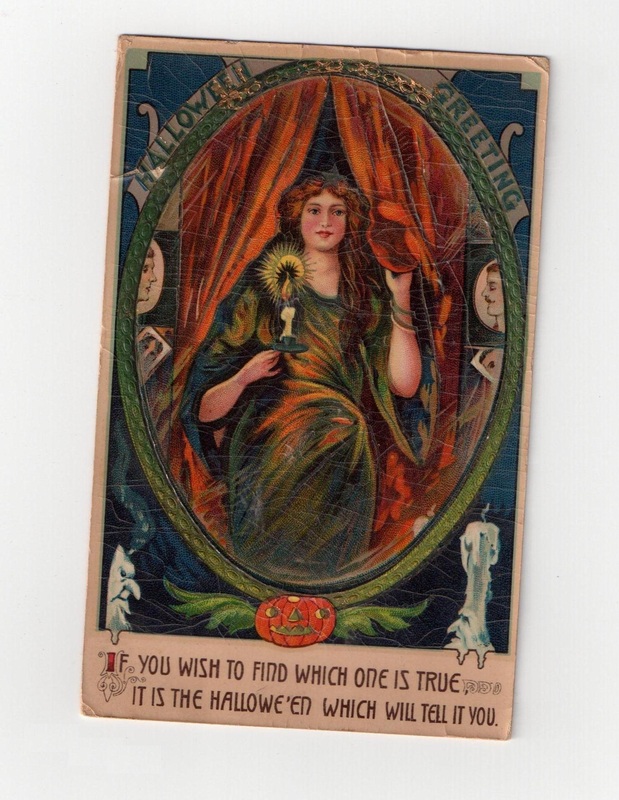 The old Halloween cards are awesome. I can’t decide whether my favorite is the one with the boy carving the pumpkin or the one with the adorable little witch.